TAMPA, April 15, 2019 – The USF baseball team hosts North Florida Tuesday in the first of four home games this week. The Bulls (15-19, 2-10 The American) are looking to gain some momentum heading into the last month of conference play with the first of four non-league games this week. USF dropped all three at Tulane over the weekend in New Orleans. · Senior first baseman Joe Genord (Lake Worth, Fla.) hit two homers in NOLA and is now in third on USF’s all-time list with 42 for his career. He’s hitting a team best .342 with 11 home runs and 32 RBI. · Freshman Alex Bello (Miami) has a nine game hitting streak. 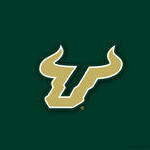 · USF has been bashing during midweek games this year, hitting .319 as a team in seven contests. · Genord is clubbing .640 with three doubles, five homers, 11 runs and 12 RBI, slugging an absurd 1.360 in those games. Classmate Kyle Phillips (Orlando) is hitting .469 in those games and .322 on the year. · Redshirt sophomore Jake Sullivan (Tampa) is batting .355 over the last 10 games and junior Jordan Santos (Tampa) is batting .361. The Bulls lead the series with the Ospreys, 10-8. The Bulls are 7-4 against UNF in Tampa and had won four-straight meetings in the series prior to March 19, when UNF won 7-2 in Jacksonville. Phillips, senior Garrett Zech (Naples, Fla.) and junior Austin Bodrato (Northvale, N.J.) all had two hits in the game. The Ospreys (21-16, 7-5 ASUN) have won five of their last six games. Jay Prather leads the ASUN with a .395 average and the team with 35 runs and 25 RBI. Trace Norkus got the start against USF on March 19, allowing just two hits with five strikeouts in 4.0 scoreless innings. Prather and Tanner Murphy each had three hits. DID YOU KNOW? : USF has the only Division I coaching staff in the state of Florida in which every member was selected in the MLB Draft – head coach Billy Mohl (2006, Philadelphia); assistants Chuck Jeroloman(2004, Boston), Chris Cates (2007, Minnesota), Brian Jeroloman(2006, Toronto). The Bulls' coaching staff has a combined 25 years of playing experience in pro baseball. It's just gotten worse as soon as I got home and turned it on. Over/under for wins the rest of the regular season: 3. I award this game three hot seats. Gotta give Mohl time to get guys in who fit his system. The guys playing now came in under Kingston and ran his system of trying to score more runs than they let up. TAMPA, FLA., April 16, 2019 – The USF baseball team fell to North Florida, 5-3, Tuesday night. The Bulls (15-20) had two men on with the winning run at the plate in the ninth, but a double play ended the game. The Ospreys (22-16) plated two in the first to take an early lead. USF had five singles and scored three runs in the third to take an edge. The lead lasted until the sixth, when the Ospreys scored two for the game’s final lead change. UNF added another in the eighth and held on in the ninth. 2 – Senior Kyle Phillips (Orlando) and freshman Julio Cortez (Miami) each had two hits. 4.2 – Redshirt junior righty Dylan Burns (Vero Beach, Fla.) was stellar out of the bullpen, tossing 4.2 scoreless inning with five strikeouts. Jordan Santos (Tampa) and Joe Genord (Lake Worth, Fla.) had the three RBI in the third. Phillips, Santos and Jake Sullivan (Tampa) each scored runs in that inning. Cortez set a career high with his two hits. The Bulls open a three game series with The Citadel beginning Thursday at 7 p.m.